I am still obsessed with Kopelani blend. It has been my go to bean for cold brew for a few weeks. It makes the perfect cold brew, slightly sweet, rich, and heavenly. Kopelani translates to heavenly coffee, and I couldn’t think of a more appropriate name. Since I have been making Kopelani cold brew non stop, I thought it would be fun to make something with the cold brew. 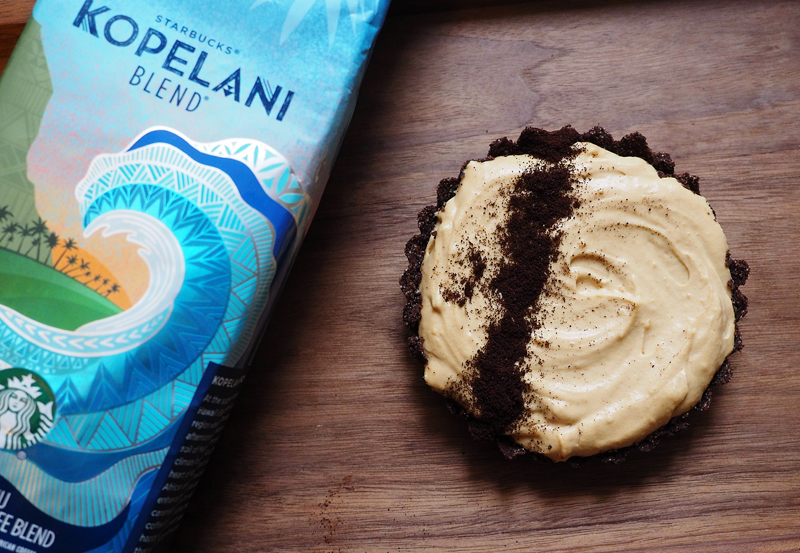 This coffee forward no bake pie has a Kopelani infused crust, cold brewed Kopelani inside, and ground Kopelani on top as a garnish. 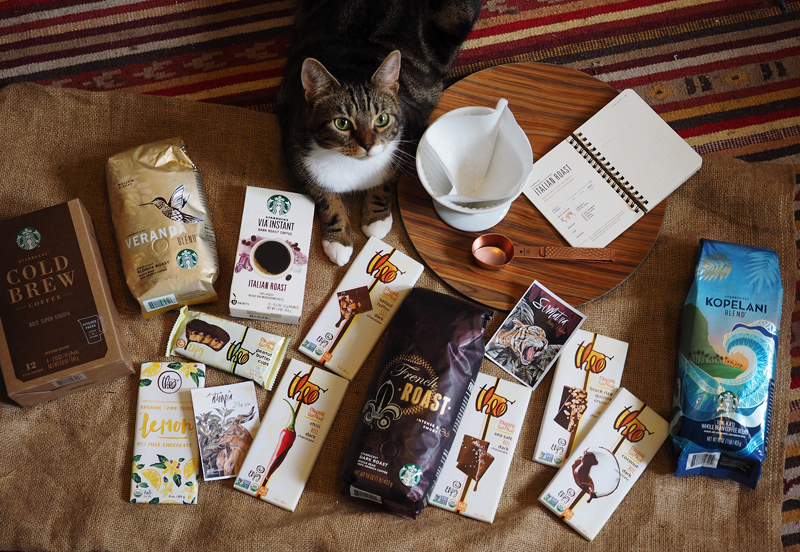 Layers of flavors and textures, all using this amazing coffee…. Once again, Kopelani has returned to Starbucks stores. This tropical inspired blend made it’s debut in 2008, exclusively on the Hawaiian islands. 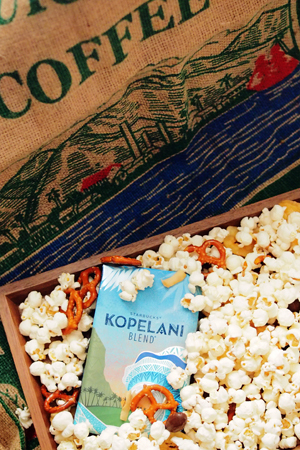 A blend of coffees from East Africa, Latin America and 10% Kona coffee, the name Kopelani translates to heavenly coffee, and this coffee definitely lives up to it’s name. This years blend of Kopelani is a bit different. The 10% Kona has been swapped out for 10% Ka’u, and the roast intensity has been turned way up! This dark roast has roasty sweet and caramel notes, and is prefect hot, iced, or my favorite; as a shot of espresso!